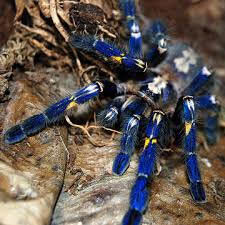 The Gooty Sapphire Ornamental Tarantula is one of the rarest and most desireable tarantula species in existence today. P. metallica was orginally discovered in a railway timber yard in a town called "Gooty" located in central southern India. 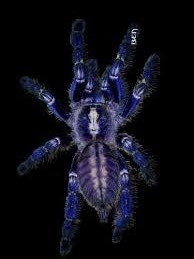 This led to the common name of "Gooty Tarantula" or "Gooty Sapphire". It was recently rediscovered in the forest between Nandyal and Giddalur in 2001. It is also classified on the IUCN Red List as "critically endangered" and should be treated with great care and respect. 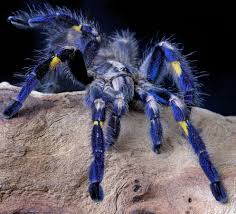 The Gooty is a striking arboreal spider from India and has incredible metallic blue colorations on its carapace, abdomen and legs with yellow and white bands. Juveniles develop a somewhat lavender hue or color but the lavender eventually fades as it grows and is replaced by the beautiful blue, yellow and white colors. The males are even more intensely colored blue than the females. Our decision to add at least two of these beautiful yet increasingly rare spiders to our collection was based on several important considerations aside from its obvious beauty. This is a fairly large spider whereby adults can reach about 6-8 inches (14-20 cm) in length. They have a fairly long lifespan in that females, which typically live longer than males, can live up to 12 years. Unfortunately for males, their lifespan is considerably shorter often reaching three to four years in length. Males tend to be somewhat more slender and "leggy" when compared to the females. They are reasonably harder, very shy or reclusive by nature and are easy to feed. Gooty's pack a fairly potent venom and handling this species is definitely not recommended. Aroboreal tarantulas tend to be very fast and can strike quickly before its target can react. I have successfully raised several of these beauties and have found them to be relatively easy to work with. The Gooty Sapphire is an arboreal species that requires a tall enclosure with adequate hiding places, good ventilation and high humidity. 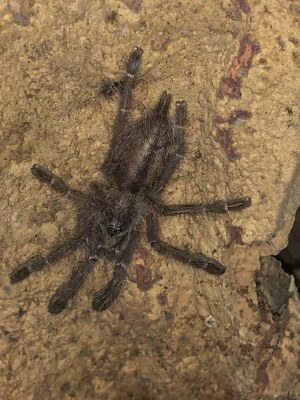 Juveniles are initially kept in a smaller, acrylic enclosure designed by Jamie's Tarantulas are eventually transferred to their permanent home after two to three molts. 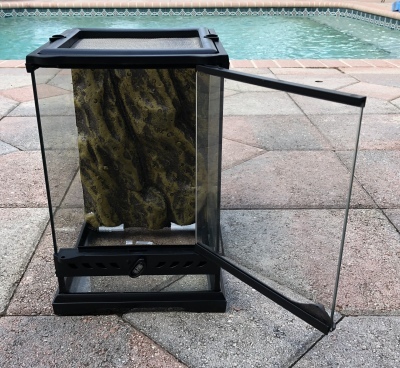 We use an Exo Terra terrarium (see below) due to its ideal size, easy access and favorable lighting feature. We use a cocoa bark substrate, a large branch or vine along, a few artifical vinces with a small water dish secured to the side of the enclosure. The idea is to provide adequate hiding places for a stress free environment. Like all of our tarantulas, the Gooty's will start on a diet of pin head crickets and move up to various sizes of B. lateralis roaches. We have an active colony of these insects which are clean, do not fly and have no bad habits. Both of our spiderlings are about two to two and a half inches and growth rates are about average. 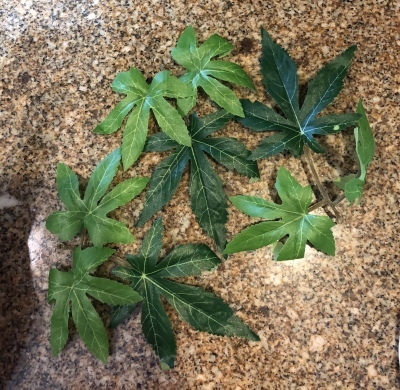 Daytime temperatures are in the high 70's to low 80's and the substrate is misted with water about once or twice a week. This week are two spiderlings arrived and were introduced to their individual enclosures without incident. These spiders have been observed in the wild living communally but feedback on various breeder forums suggest that this is a very risky and uncertain practice. Both spiderlings are eating 1/4 inch B. lateralis roaches and adjusting well to their new homes. We will continue on a weekly feeding schedule for the remainder of their juvenile lives. Gooty #1 has begun to exhibit a somewhat defensive behavior when the enclosure is moved and made several lunges toward the screen vent when I was misting the substrate. 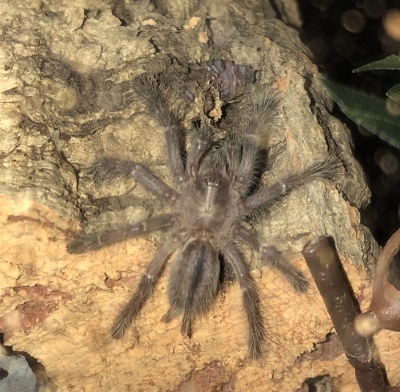 Both Gooty's have molted at least twice without incident and appear healthy. This weekend, we decided to move the larger of the two Gooty's into its permanent home. We are using the Exo Terra enclosure (8 x 8 X 12) with an LED light fixture. 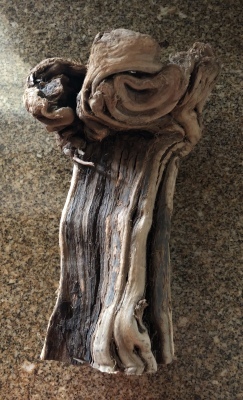 Shredded coco bark was added for the substrate and we found a really cool vine root which should give our T plenty of protection but allow for easy viewing. Gooty's tend to find cracks and crevices in the trees in which to hide which can make observing them very challenging. We added a few silk plants for more realism but you dont want to add too much.